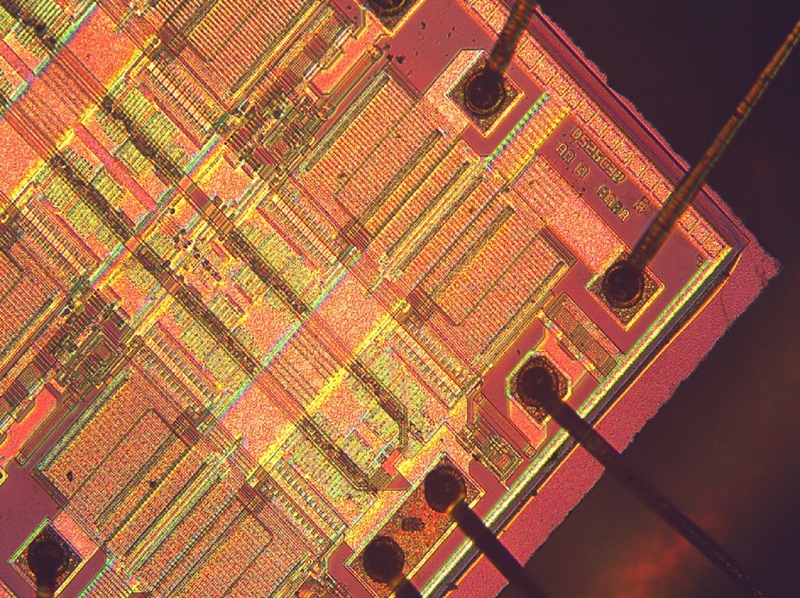 The design and manufacture of integrated circuit containing devices is a massive industry, reflecting hundreds of millions of devices manufactured throughout the year. Many of these devices are relatively simple consisting of a few components on a small board. However, as customers continually strive for more feature rich devices and increasingly robust or flexible packages, it often isn’t enough for a device to be competently designed. Current consumer demands means more often it needs to consume less power, have built in diagnostics and anti-counterfeiting features, and survive extreme environments. 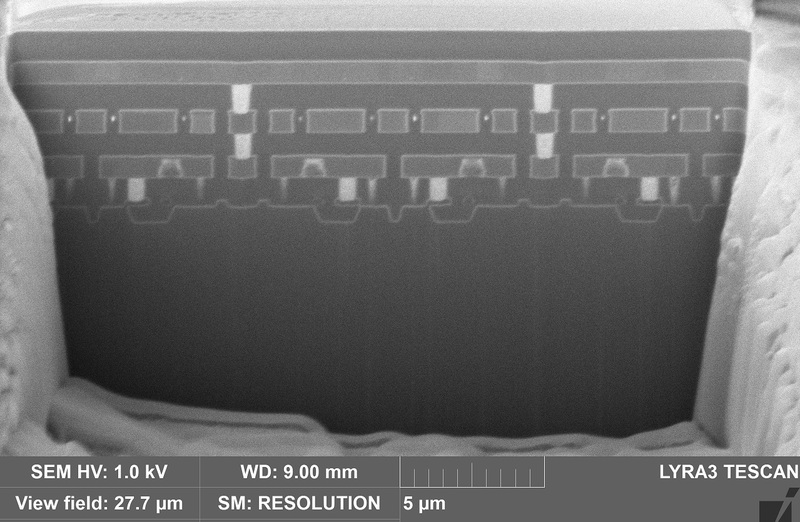 As more and more devices are piled onto shrinking board footprints, and more and more transistors piled onto die surfaces, the complexities of creating robust functional designs as well as the number of potential points of failures begin to mount up. Thankfully, Advanced MicroAnalytical has a proven track record of offering comprehensive scientific support services throughout the electronics manufacturing community. Advanced MicroAnalytical has a diverse staff of experienced scientists that can offer solutions to customers with needs from design and prototyping support through end user failure analysis. We are capable of bringing the full range of analysis methodologies available as industry standards, as well as providing deeply customized analysis packages and ongoing support services. We offer a full range of non-destructive inspection methods including X-Ray, X-Ray CT, XRF, CSAM etc. to verify composition, assembly quality, and possible internal failure modes. We also offer full DPA and device de-capsulation/dissection to allow for higher level detail of solder bonds, wire assembly, and component level internal quality. 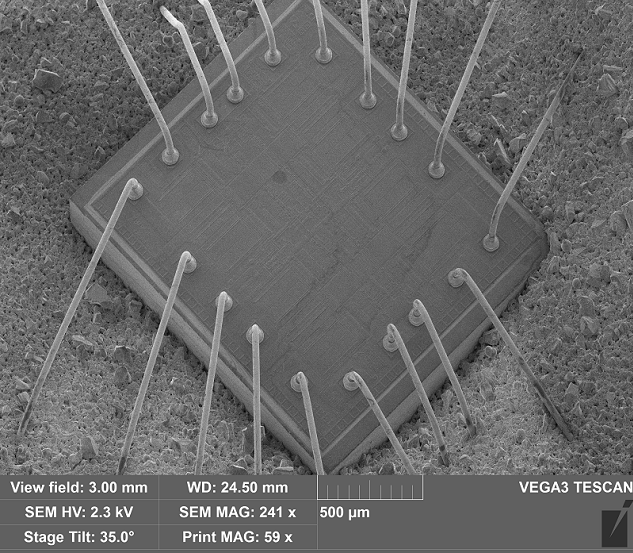 Advanced MicroAnalytical also offers surface analysis, sub-micron die inspection, and full sub-transistor FIB-SEM and TEM analysis for the times when issues crop up on an individual die component. With the level of analytical precision to tackle even the finest problems, and the industry experience to help our clients navigate highly regulated industry specifications, Advanced MicroAnalytical is committed to serving our clients. With our capability for rapid scalable analysis and high quality analysis, contact us so we can begin supporting your quality and design efforts today.